For Profits, 10 German Business Etiquette Tips Apply in the U.S. Hats were once considered the business norm. Formality required that men remove their hats when entering a building or when they were introduced to a lady. Baby boomers can recall it was a cultural, social-changing event – and quite a shock in 1961 – when President John F. Kennedy appeared hatless at his frigid outdoor inauguration. 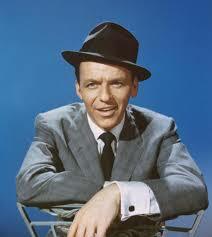 Legend has it that President Kennedy reversed the hat-wearing trend of men from professionals to entertainers like Frank Sinatra. Some years later, business etiquette began to worsen. Poor business etiquette started during the Viet Nam War. The nation was in turmoil. Everything was questioned. Formality was out among young adults – me included. For example, when I was fresh out of college I held two jobs. I worked weekends as an on-air broadcaster and full-time as an insurance sales representative giving speeches about insurance to groups of educators and other professionals. I dressed casually for my radio gig, but the insurance job required business dress. His humorous approach had me laughing so hard, I nearly fell off my chair. But I got his serious point. In the early 1990s, came the casual-Friday phenomenon. Business suits and ties were discouraged on the last day of the workweek. It progressed to business casual every day, especially in the digital age after the dot-com bust. Isn’t it preferable to use etiquette and have panache? Certainly, that’s true if you’re an ambitious professional and want to accelerate your career to the C-suite in most U.S. markets. If your career is stalled, you should use the proven ways to turbo charge your personal brand. To use a sports metaphor, it’s important to “suit up.” It shows you’re ready to conduct business. If you’re in a traditional work environment, it’s important to dress for success. If you’re climbing your career ladder, always dress now for the role you want to attain in five years. In this way, your potential bosses can look into the future and visualize you in a more challenging position. True, I’ve had clients who questioned my attire because they personally preferred to dress casually. However, they soon accepted my approach after they enjoyed strong results and saw how serious I was about their business welfare. They realized I treated my meetings with them as important events and that I performed best when wearing my uniform. In segueing to current economic developments, and noting the discipline of German businesspeople, their country’s success is intriguing. Another possibility: If the European Union ever disbands, it would mark the end of the euro. Because it’s a leading economy, some people joke that the German mark could replace the dollar. But it’s possible. Germany’s success starts with its collective business demeanor. As a result of casual thinking to many people in the U.S., business etiquette tips for Germany aren’t applicable. If being casual works for you, fine. But if you’re not satisfied in your career, it’s time to practice the Principle of Contrary Action – doing everything differently – so you can learn to keep an open mind. “Order, structure, precision and thoroughness permeate work life here, which is why foreigners in business environments could be forgiven for suspecting their German colleagues have a secret set of rules – and are following them to the letter,” she advised. Again, her tips will work for you in the U.S. If you want to be taken seriously, professionalism and disciplined etiquette will differentiate you from others. You’ll profit from these tips. Career Strategies: How to Get a C-Level Job — If you’re climbing the corporate ladder and have designs on a C-level job, a noted Stanford University professor has some excellent advice. A Book That Will Improve Your Life, Business and Community — Lovers of knowledge and wisdom periodically get an opportunity to read a book that delivers particularly valuable insights. Such a well-written book is “The Power of Habit: Why We Do What We Do in Life and Business,” by Charles Duhigg. 18 Leadership Strategies for Employee Respect— Eighteen strategies to profit from good labor relations, and to leverage the perspective of employees – your company’s human capital.